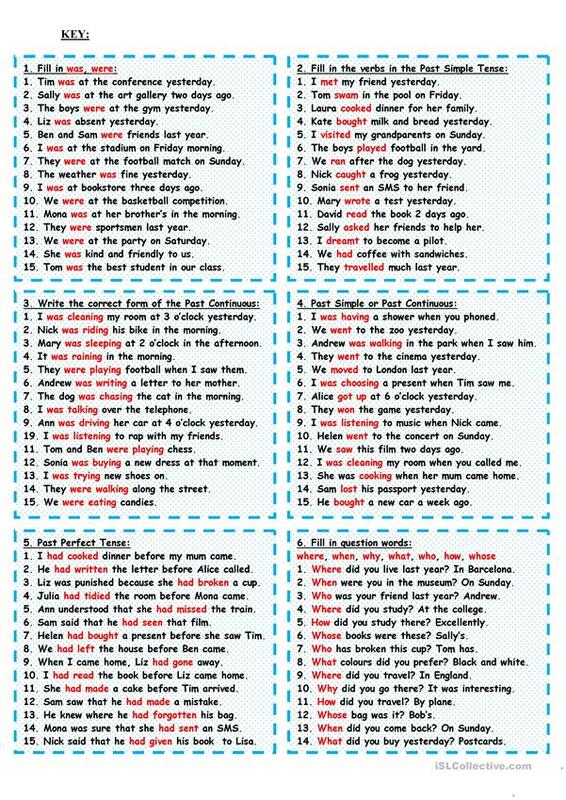 Six exercises for the revision of the Past Simple, Past Continuous, Past Perfect Tenses. Key is included. Thank you!!! This downloadable printable is best suited for high school students, elementary school students and adults at Elementary (A1), Pre-intermediate (A2), Intermediate (B1) and Upper-intermediate (B2) level. 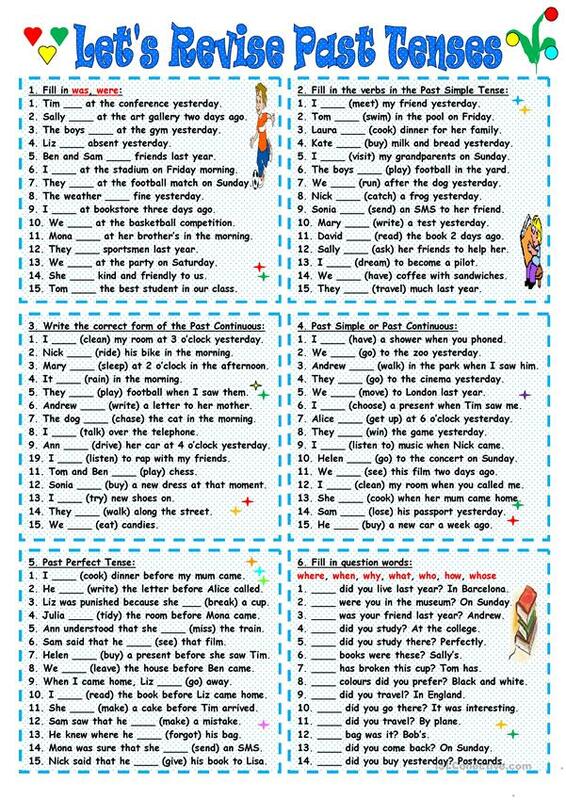 It is valuable for consolidating Verb tenses in English, and was designed for enhancing your students' Speaking and Reading skills. The solutions are provided, too.